← NO ONE’S WATCHING Cover Reveal and Release! The ingredients for a spicy chicken soup were calling my name from the pantry, so I answered with a can opener. 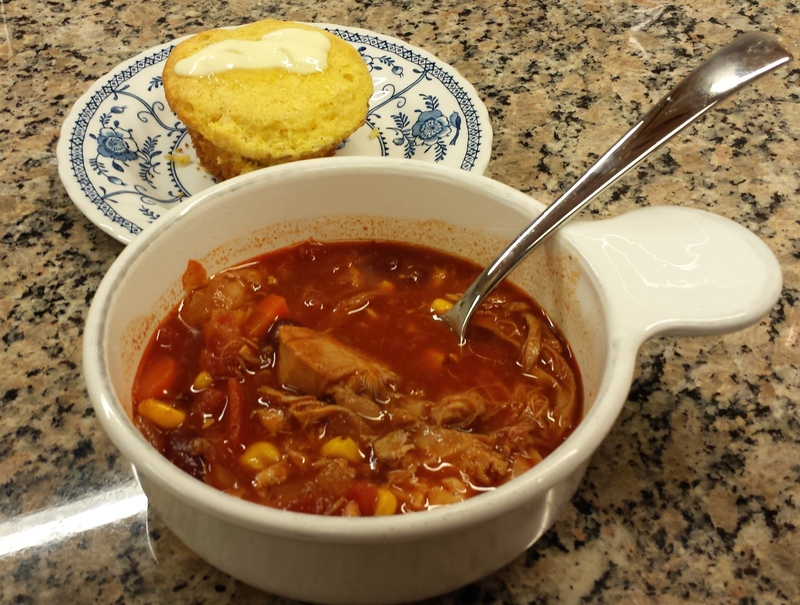 Paired with corn muffins, this quick crock pot recipe was a hearty mid-week supper. Add all to crock pot and set to high for four hours or low for six hours. This entry was posted in Cooking, Crockpot recipes, Food, Photos, Recipes and tagged canned soup, chicken, soup recipes, Spicy Chicken Soup. Bookmark the permalink.